Key making solutions fromExpert Locksmith Services are highly-popular because instead of purchasing new keys from the manufacturers, people prefer cost-effective alternatives. We use state-of-the-art tools and equipments with hundreds of blanks constantly at our disposal for serving our clients. As one could understand very well, this is a highly specialized job where precision is most crucial. Otherwise, the new keys will fail to work in the lock. We have 10+ years of experience to guide our way with proactive steps to remain constantly in the thick of things. Thus, whenever something new becomes available in the market, we make our employees undergo training. Whatever the key making requirements, you will never find our team members lacking. 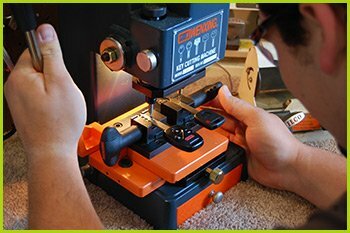 To ensure precision and accuracy in each of our projects in Portland, OR, our firm has invested in an impressive range of key making computerized machinery. As soon as they become available in the market, we make it a point to purchase key blanks. Thus, we always have the collection of the latest ones in a sufficient quantity. These remain in our mobile van allowing us to offer on the spot key making solutions immediately. This includes transponder keys, laser keys and others. We have such an expansive range of machinery for key cutting that our team could make any key, traditional or otherwise. Our key duplication service is prompt, cost-effective, and successful every time. Call us for key making irrespective of your requirements. Through our 10 years of services, we have handled projects for large factories, enterprises, small businesses and individual homes. Automotive key cutting is also our forte. You do not have to purchase the expensive transponder keys and ignition keys in case of damage. We will make new ones for you at highly affordable rates. Programmable keys enhance the security, but replacing them is hard. When our key making solutions are at your disposal, there will be no more worries. Expert Locksmith Services maintains the largest database of codes. We mostly use computer-controlled machinery for key making. This brings down the time to produce and ensure high quality. We follow the manufacturer's specifications for the perfect fit. There is no place for experimentation when you have a key making solution to come to your aid anytime anywhere. 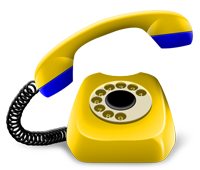 Call us on 503-403-6319.